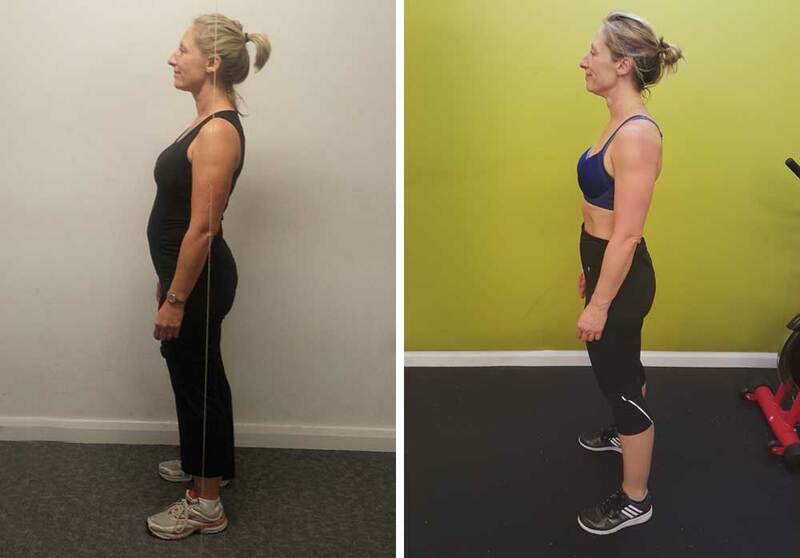 “After speaking to Cheryl, she made me realise that the way I thought about food and my attitude towards exercise was wrong. I knew I wouldn't be able to change it without the support of Cheryl. 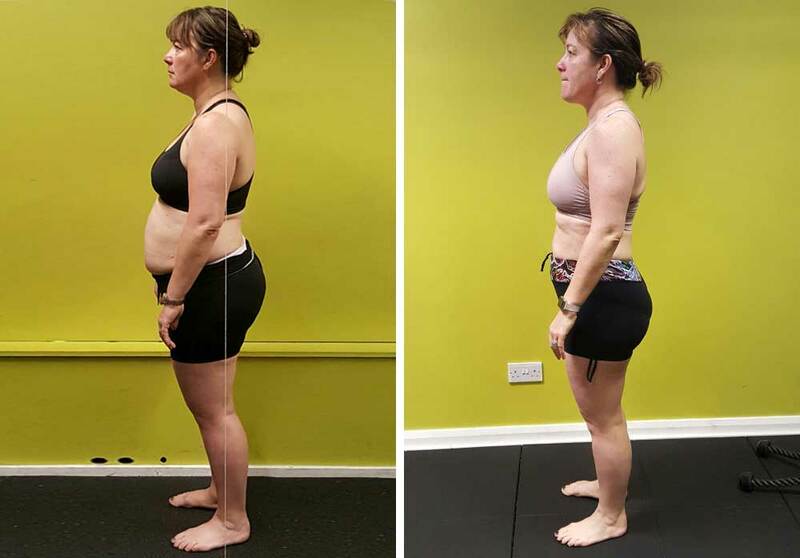 “I was looking to lose weight, but I also recognised that I wanted to form better exercise and eating habits – which wouldn’t just last for the course of the programme. Since starting the programme I have definitely noticed the difference in how I am feeling physically. The reason that the programme attracted me was the competitive/challenge format. It was set over a realistic period of time which was long enough to change habits and build a routine, but not to the extent that it overshadowed normal life! 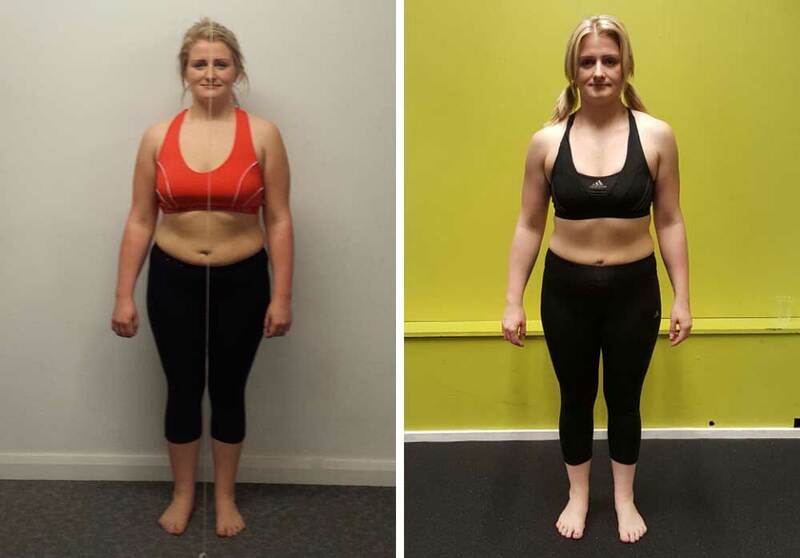 “I started seeing Cheryl in August as I wanted to get in shape for my wedding in May. I had a fairly healthy diet, but I had noticed over the last couple of years I’d put on a few pounds. I’d done odd gym classes over the years but never really saw any changes so never kept it up. PT Health don’t just give you a meal plan, they teach you why certain foods are good for you and others aren’t, this way I find it easier to make healthy choices when eating out or working away. I’ve been amazed by how much I’ve got into going to the gym. All my friends and family are so impressed with how much my body has changed and they’re always asking what exercises I do and what foods I eat. I’ve been attending group classes for over a year and had made a couple of half-hearted, sporadic changes to my diet but, in all honesty, I was just playing at it. It was a couple of months ago, when I realised that the excesses from the festive period had hung around (mainly around my hips) much longer than the tinsel and trimmings, that I decided to sort myself out. Since then I have basically just followed the advice that the PT Health trainers have given me- I’ve eaten well, cut out alcohol altogether (who’d have thought it!?) and pushed myself a little bit more in training and so far I am really pleased with the results. I feel great, I have a lot more energy and I’m less stressed. The classes are brilliant! There’s always a really good group of people taking part and it’s so much better than pounding away on treadmill on your own. The PT Health trainers really know their stuff and are always encouraging. I haven’t felt this good in ages and I can’t wait to get started on my next set of goals. Thanks! 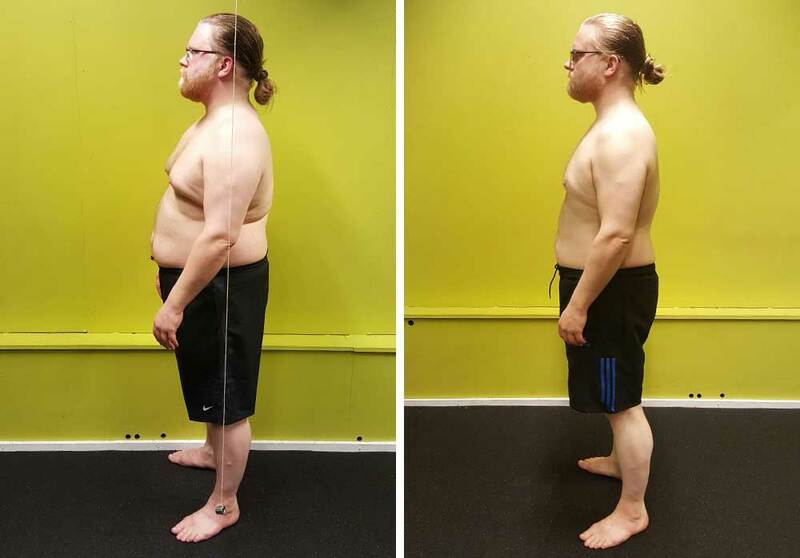 Lost 3.5 stone in 20 weeks! "Seeing myself in some photos of our works Christmas party 5 years ago (the camera never lies) was a real shock I hadn’t realised just how out of shape and overweight I was, and I definitely looked it. Something had to change! I started at PT Health around the end of September and set myself a target to lose a stone by Christmas, after 12 weeks by mid-December thanks to the training sessions, nutritional knowledge and advice I had lost 2 stone. After the Christmas break by mid- February another stone and a half was gone! Now 5 years on and still 3.5 stone lighter, fitter, stronger and leaner than ever.I feel a totally different person. If you are still undecided and not sure if joining PT Health is for you I’d say “Just do it” I cannot recommend them enough it will be one of the best decisions in life you will ever make. If you want to put in the effort, listen and follow the coaching and advice available it is easy to achieve and surpass any goals you set yourself." "I’ve been training with Ross now for around 8 or 9 months. Although I tried to keep active and have trained in gyms for over 10 years, I had gradually managed to accumulate around a stone of unwanted weight and was finding it very difficult to keep motivated and consistent enough to get rid of it. Ross stripped it back and took me back to basics. It was almost like having to forget everything I thought I knew about training! Through Ross’ strength, power and conditioning programmes, not only am I leaner, I am also stronger- managing to hit a personal best on the back squat, which I just couldn’t do without fear of injury prior to starting with PT Health. The goal now is to kick on and keep improving." 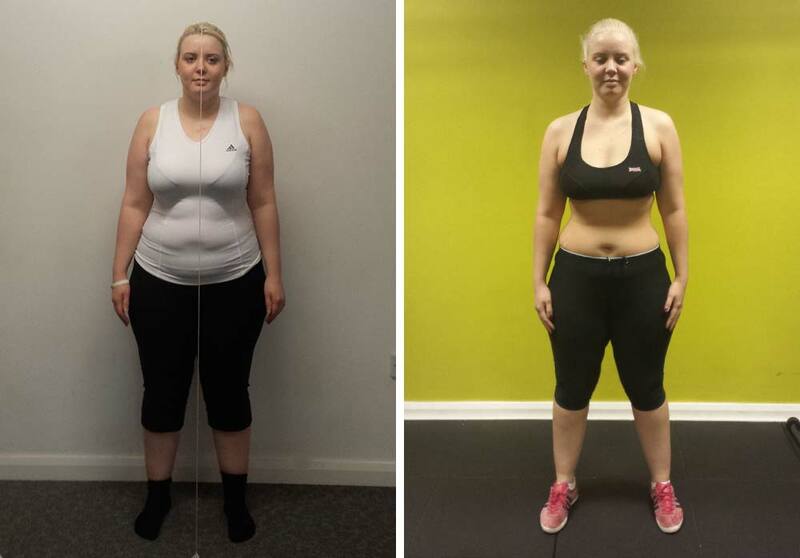 “Since April 2013 I’ve lost over 3 stone and it’s a real confidence boost when others notice. I can’t believe how much fitter and healthier I am. The trainers; Ross, Cheryl and Darren have been great with advice and pushing me to my limits. "I was diagnosed with high blood pressure about 2.5 years ago. I thought it was about time I did something to get it under control by losing weight & getting fitter rather than with pills. I'm eating a hell of a lot better than I was & feel healthier in myself. In the last three months my blood pressure has gone from dangerously high to well within an acceptable level, which is nice. It might seem a little silly, but it's also been nice to see my trousers getting looser (just had to go down a size). I've always wanted to do something about getting fitter & losing weight, but I always found excuses to put it off. I like that the program helps me keep focus & stick with it. A massive thanks to Cheryl for all her help. 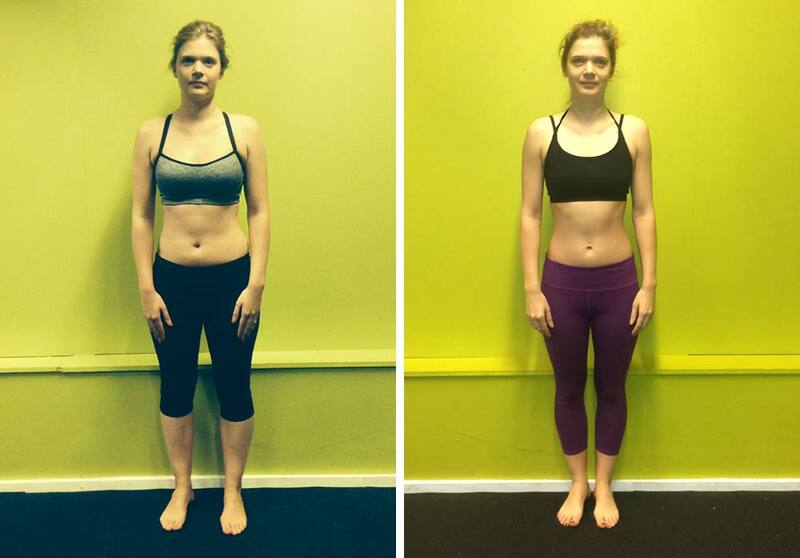 I wouldn't have had a clue where to start, & the program she's got me on has had some great results so far." 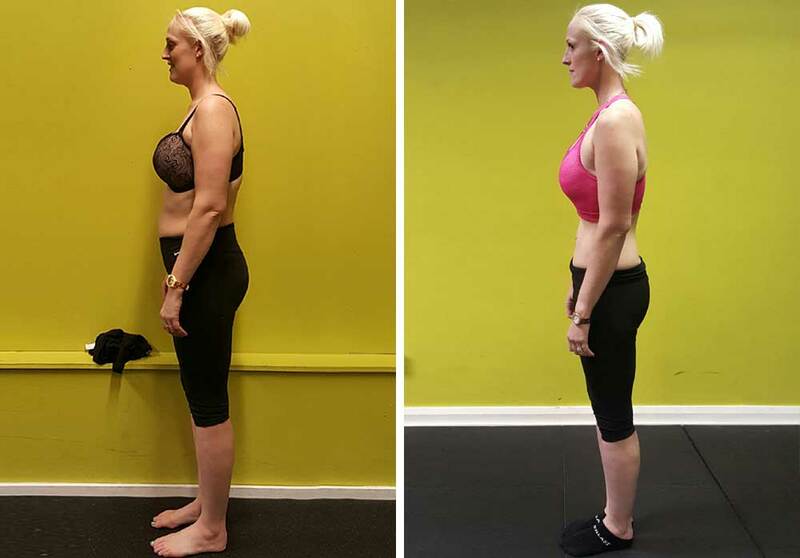 "As with any major weight loss plan, I knew this would not be a “one month plan” however, joining the weight-loss competition in May certainly was a good moral and confidence booster! The biggest change to the previous lifestyle was obviously in the food intake. I have changed my diet dramatically – and although I do miss certain foods, I am enjoying the new meal variety and it’s great to see a result from such a simple change. For me, this was always part of a longer goal (20 week fitness plan), so fingers crossed we can see some bigger changes in October. Well done to all who took part! Thanks to Ross and Cheryl, I appreciate the help." “I was getting a lot of niggles from running which was taking my enjoyment out of exercising. 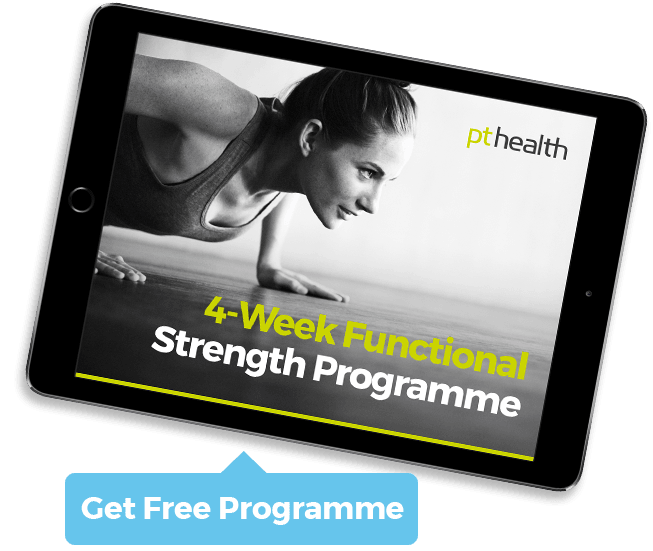 I wanted to join a gym hoping some strength work and less impact exercising would be beneficial, but didn’t have a clue what I was doing, which led me to PT Health. The main noticeable achievement has definitely been aesthetics. Whilst I didn't think of it as one of my main goals, I have found this one of my most motivating factors (only down side is I am now finding a lot of my clothes are starting to hang off me). My general health feels much better - it's surprising how much of a difference cutting out certain foods can make to your feel good factor. I enjoy the program and if there is something I like or want to add then it can be included. Having a trainer is very much love/hate - I love having a trainer who will push me harder than I would do when I train myself, but I hate how I can end up hurting for a couple of days after (although it is actually very satisfying). 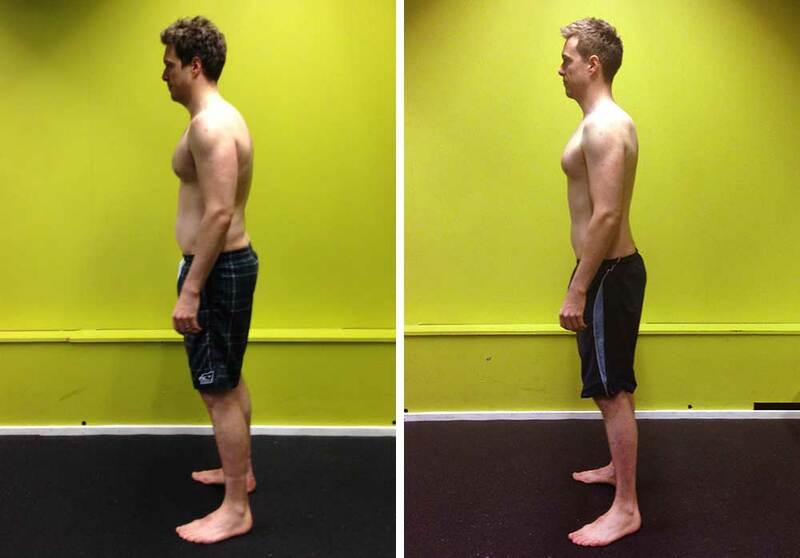 Lost 10kg, 5.4% body-fat & 10cm from waist in 3 months! “After more than 25 years in cycle racing, I decided I needed six months or so of respite from training and competition. 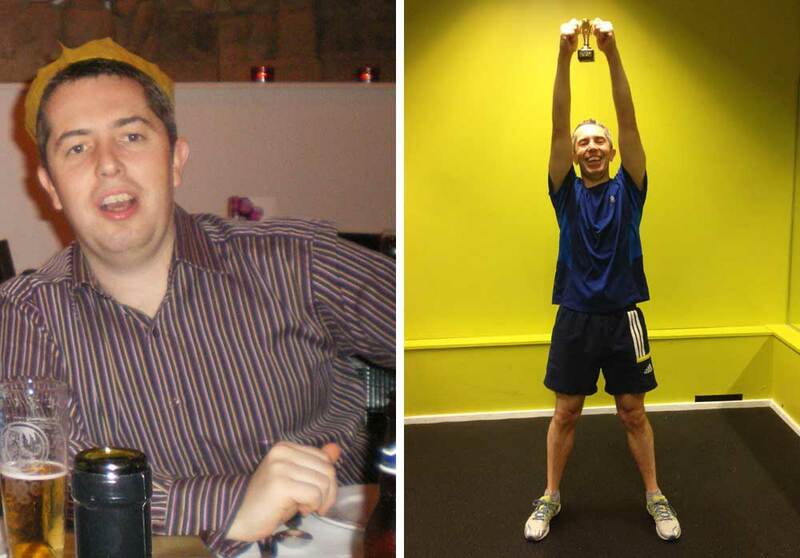 Eight years, a road accident and 2 operations later, I was 4 stone heavier than my ‘racing weight’ and I had given up. I’d lost all hope of ever enjoying riding a bike again. After trying, I thought, everything, I decided on a final roll of the dice with PT Health; and it’s been a revelation. “I have a busy life. The best part of 4 hours a day commuting, a family, a social life. I do try to eat properly and keep fit but in the last year I have let this slide, not done enough and have piled on the pounds. My first month with PT Health has 'reset' many of my bad habits with great results. 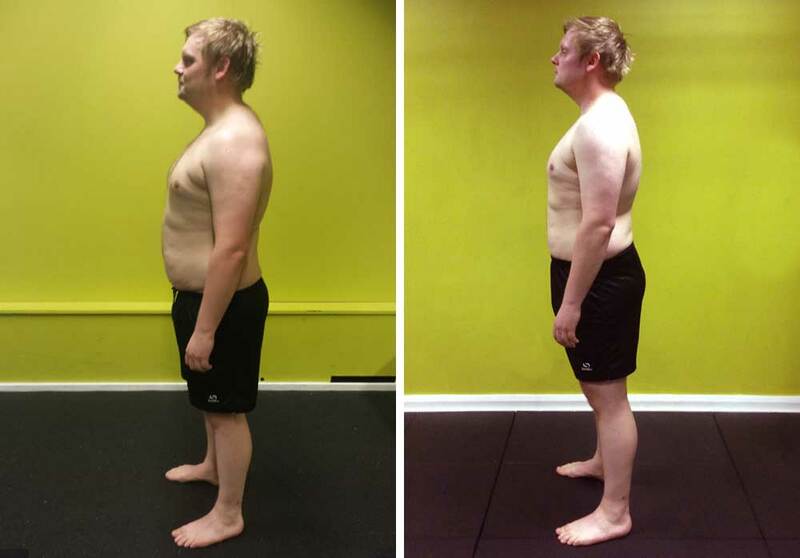 I lost 28cm, 2% body fat and nearly 5kg in my first month. I have committed to a routine and diarised 2 PT sessions a week on the days when I was least likely to be away for work. I have followed the diet plans, cut out processed foods, white carbs and gone organic (for the whole family). I have virtually given up dairy (except for milk in tea & coffee), massively reduced my alcohol consumption and discovered that cabbage is a great substitute for rice & pasta. “In April this year, I realised I’d reached the biggest I’d ever been in my life and needed to do something about it. I’d tried diets before and could never keep up with them for longer than a couple of months. I always seemed to lose a stone and then not lose anything else so I’d give up and go back to my old ways and put the weight on I’d lost plus more! It took me a while to get into the swing of the classes at PT Health but when I started to notice results it made me put more effort in and go to more classes. Gained 5.1kg of muscle, 3cm to his chest and 2cm to his legs in 9 weeks! 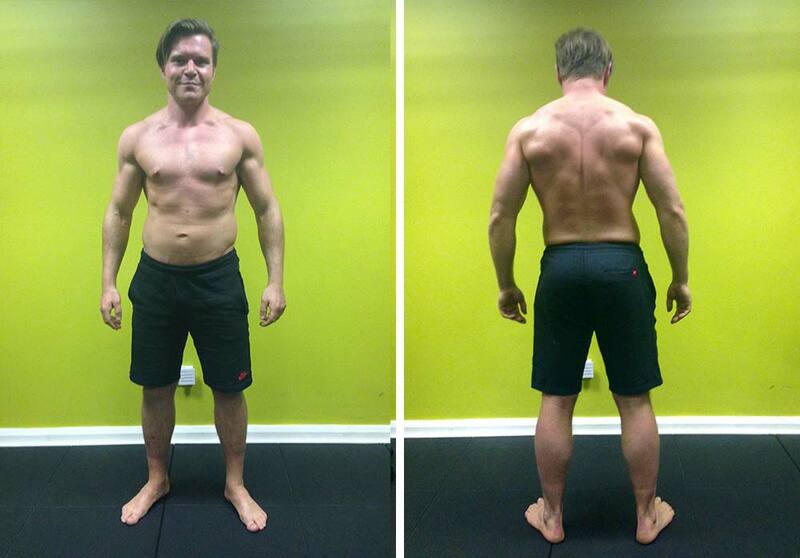 "I have been working with Darren at PT Heath now for nearly 3 years. Over that time I have increased my strength, cardio fitness, improved my diet and general well being. 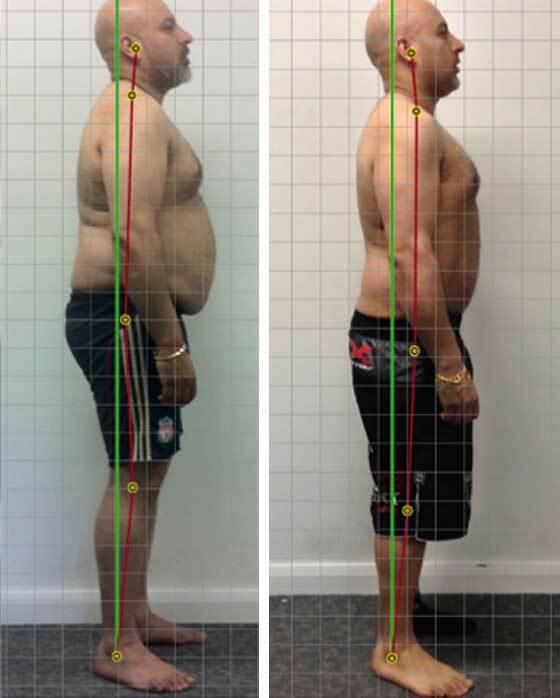 The whole system from the initial consultation, postural improvements, injury prevention or rehabilitation exercises works as long as you follow it through. All the team are friendly and motivated by your success and understanding what works for you. Training is no longer a chore and something I look forward to." 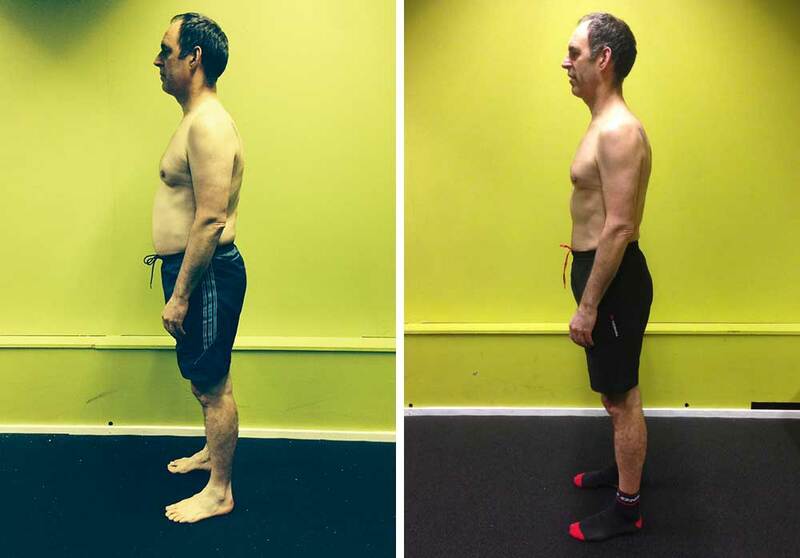 "My initial motivation was to try and address a few long term injuries/niggles including a shoulder issue which was the result of a rotator cuff tear caused by a sports injury years ago. 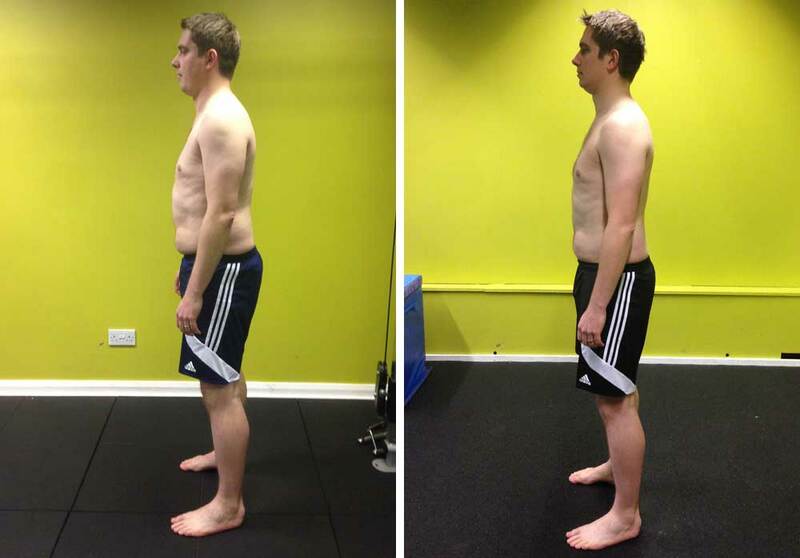 A detailed diagnosis and advice from Darren and Ross indicated I could address this and train more completely and effectively if I undertook a rehabilitation programme. 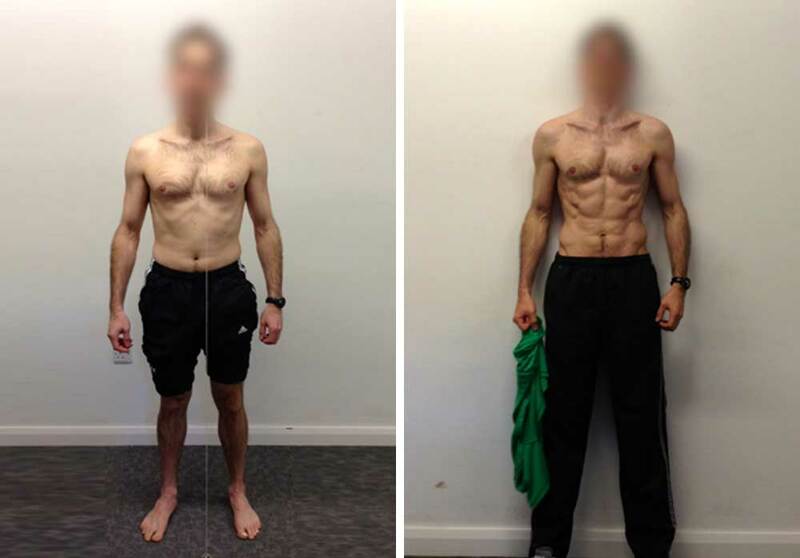 This rehab programme was very successful and I became as strong and lean as I have ever been. 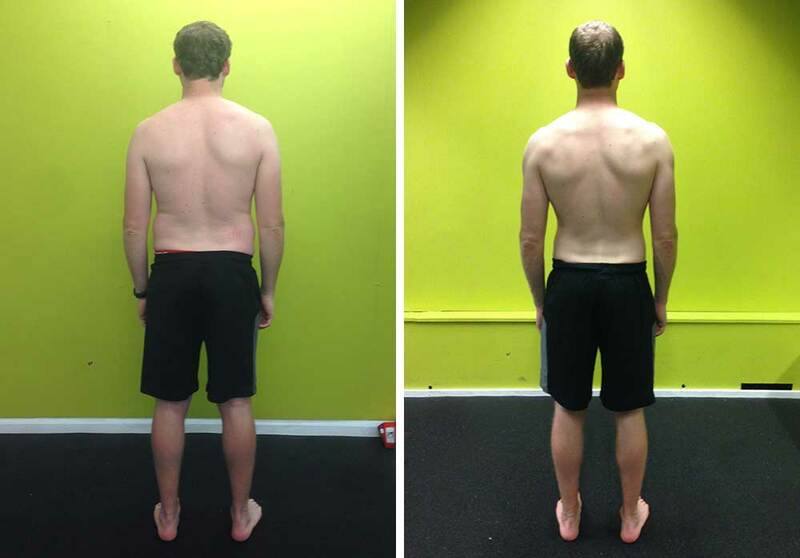 The programme improved my posture and addressed my shoulder issues very successfully. By the end, I was able to train more completely and with advice on diet got down to less than 9% body fat with good muscle tone. The key attractions have been: Holistic and well explained approach including nutrition, exercise and wellbeing (including addressing stomach issue which had been holding me back); Non-judgemental and positive attitude; Very effective motivation and encouragement and care taken to avoid injury and take long term approachIf you are serious about achieving results, these guys can really help you do it and you will surprise yourself about how satisfying and rewarding it can be along the way." During the consultation we’ll discuss what you want to achieve in the months ahead and why that’s important to you. You’ll see the process you’ll go through so you know what to expect from us and what we expect from you. If you’re the right fit for our programme and you think we’re the right people to help you, we’ll show you through your options and we’ll decide on the best programme for you.